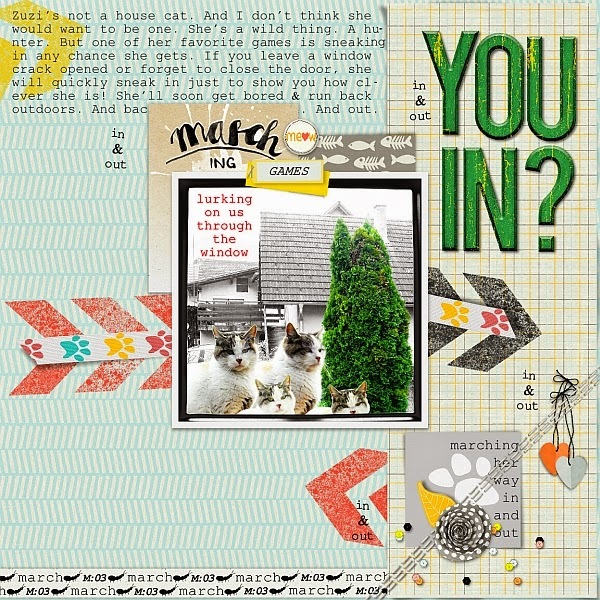 the march blog train theme was really extensive and because i couldn't decide on just one animal/ color, i created something different. a set of supplies good for general use, neutral enough to blend in any sort of page you're making but still funky enough to add some cool accents! originally, i was only gonna share a set of handletter cards with you. funny thing about handlettering i didn't realize at first - to achieve a proper brush stroke flow, you have to hold the brush in your right hand. but i wasn't gonna let that stop me! 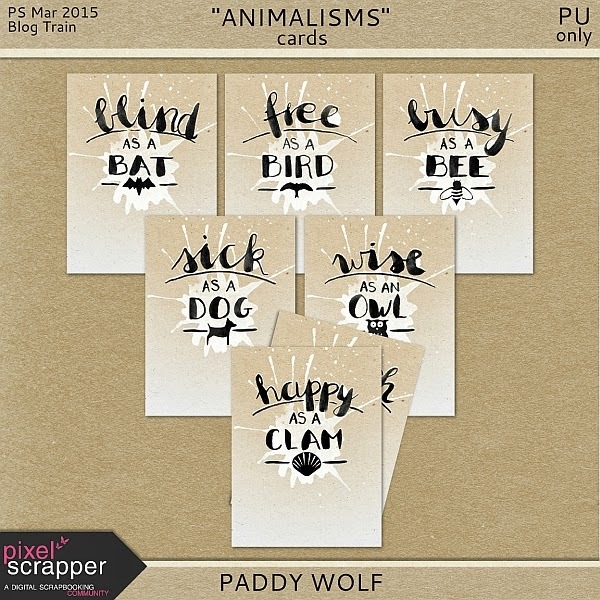 that's six 3x4 animal phrase cards in .jpg which i believe you'll (sometimes) be able to relate to. and a mystery bonus card - thrown in just for fun! for the finishing touch on the cards, i needed to create some animal icons. and once i had them, i wanted to see what more i might do with them. and so- you're also getting this paper pack! now, how cool is that?! and finally, i wanted to give a big thanks to all you lovely people for the comments you've left me here. i've so enjoyed reading them & this kind of feedback just makes me wanna create more stuff for you! really appreciate it. 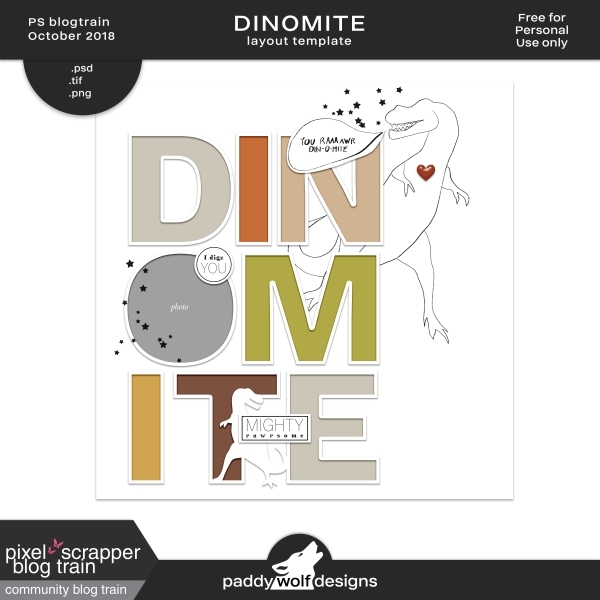 got an animalistic layout in mind, yet? I've been looking forward to these since you mentioned your idea, and they turned out beautifully! Love these - love everything you do! The journal cards (including the mystery one!) are great. Thanks Paddy! These are quirky and gorgeous as always, love it :-). Paddy, Your designs never fail to amaze me with their originality and fun factor! Thanks so much for sharing your special talent! 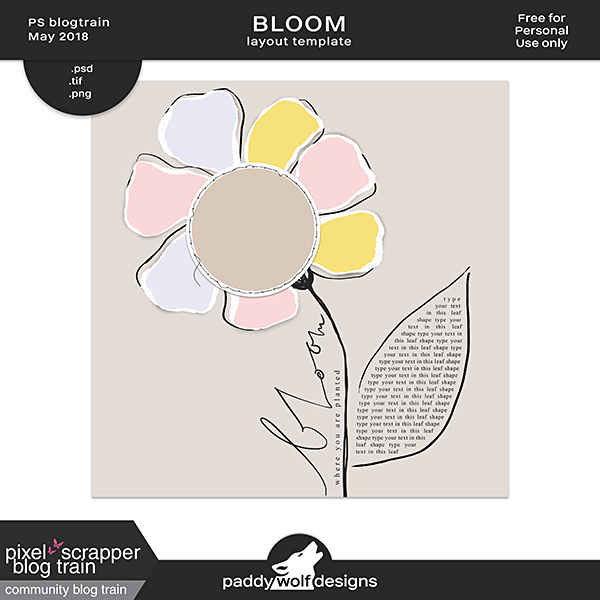 I really love your style, Paddy, & adore what you've done for this blog train! Thank you so much for the cards & papers - I can't wait to use them! Thank you! I love the cards! Cute kit, thank you :) And I like your layout. Love, Love the journal cards -- they are so cute! & the papers are beautiful! Thank you! OOOH Love the journal cards!! They are just amazing!!! 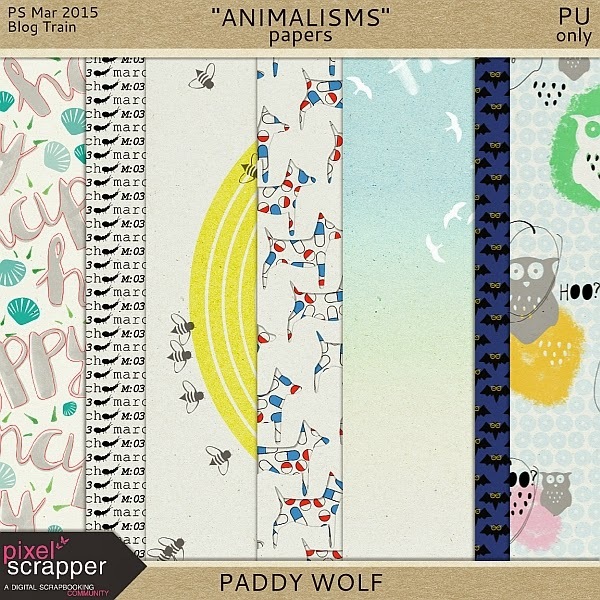 The papers are fantastic with all the different animals!! Thank you so very much for sharing!!! Love the journal cards! They are great and the papers are beautiful!! Thanks very much for sharing. So late, but just in time to snag your fun owl paper... Woohoo!